Some say that he’s gotten sideways in some of the fastest and craziest cars in the world, and that he has a new book out on how you can be a driving badass too. 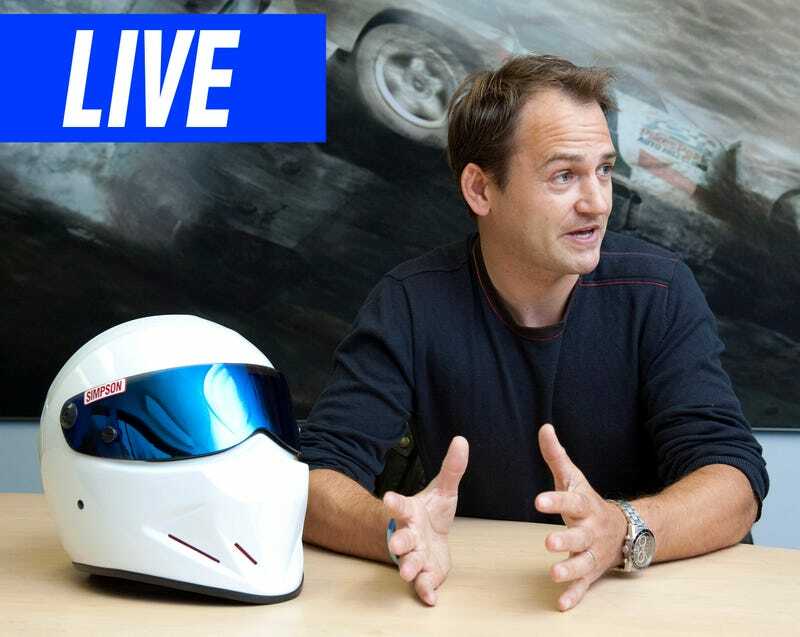 All we know is he’s Ben Collins, pro racing driver and Top Gear’s former Stig, and he’s hanging around Jalopnik for a bit to answer your questions. I almost feel Ben needs no introduction, but I’ll give him one anyway. In addition to spending many years as the mysterious man in the white helmet on the world’s best motoring show, Ben has raced in everything from Formula Three, the British Touring Car Championship, Aussie V8 Supercars, stock cars and much more. He’s also pulled Hollywood stunt driving duty in four James Bond movies, The Dark Knight Rises, and much more. Ben’s here to talk about anything you want, including the U.S. release of his book How to Drive: Real World Instruction and Advice from Hollywood’s Top Driver, which went on sale last week. Update 1:20 p.m.: Ben had to jet, but he did an awesome job. We’ll have to have him back soon.